Home > Untagged SunBriteTV: Game Outdoors! Are you anything like us and absolutely love new technology? Of course you are, look where you are at. You love gaming on the go with the PS Vita and Nintendo Switch, and you love playing on your tv at home with your PS4 or Switch as well. Well tech lovers, we have a feature of a product we have all wanted, but never have been able to find. Have you ever wanted to play your games outdoors but just haven't been able to because of the stinkin sun and its terrible glare or because of the fear of weather conditions destroying your television? We have found an amazing television that changes everything. The SunBriteTV- Veranda Series are made for people like you whole love technology, gaming and enjoying television outdoors without having to worry about the sun's glare. But the SunBriteTV is so much more versatile thank you could think! The glare is hardly the biggest issue with outdoor televisions. The biggest issue is that indoor televisions are not made to be outdoors. Between the rain, sleet, snow and other crazy weather conditions, an indoor television would not be able to last very long outdoors. On the flipside, The SunBriteTV- Veranda Series is a family of weather proof televisions designed for full shade applications: Full Shade (Veranda), Partial Sun (Signature), and Full Sun (Pro). Listen, we all want to game outdoors, watch the big game on the patio, or just flip on the news while we grill. In other words, outdoor living trends are strong and we all want to enhance our outdoor lifestyle. 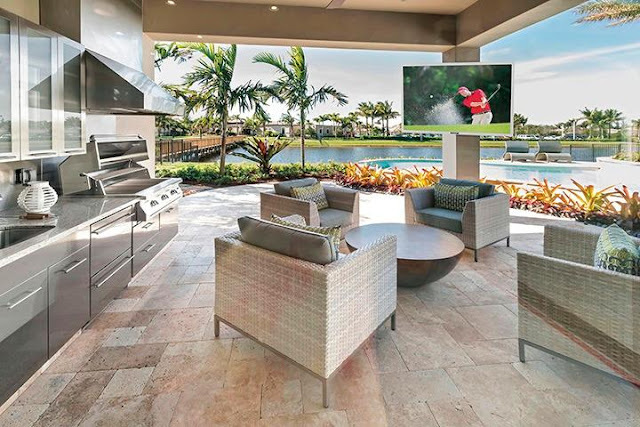 All weather televisions enhance the outdoor lifestyle and let us do things we never thought possible. SunBriteTVs are true, made-for-the-outdoors products, whereas "normal" televisions are not made to be outside. 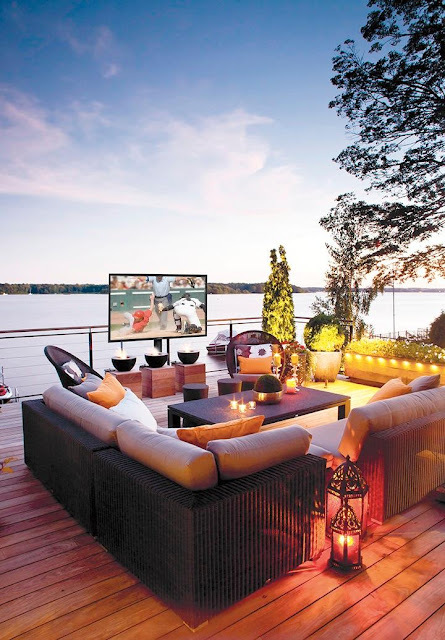 If you looking to create an outdoor home theatre or gaming setup, it not only will be the most affordable room addition you can make, but the best seat in the house is in your backyard! I don't know about you guys, but I am so happy to never have to choose between great weather or being able to watch the game outside, or better yet, play my games outside. 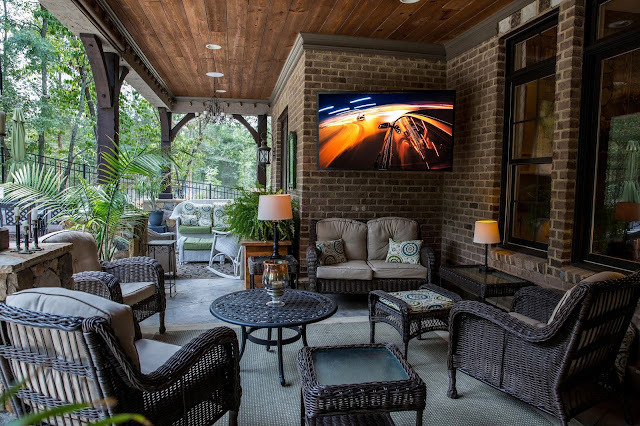 The SunBriteTV- Veranda Series are engineered for permanent outdoor installation and are more durable, safer, and higher performance than using indoor TVs outdoors. It’s all about bringing the conveniences folks are used to indoors outside. The SunBriteTVs do have a few nice deals going on right now too! If you are interested, check out the details below.